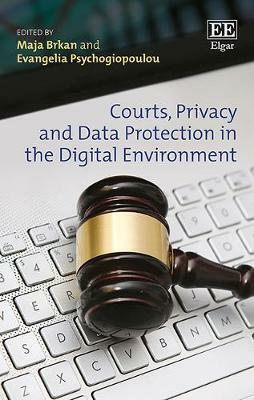 Through critical analysis of case law in European and national courts, this book reveals the significant role courts play in the protection of privacy and personal data within the new technological environment. It addresses the pressing question from a public who are increasingly aware of their privacy rights in a world of continual technological advances - namely, what can I do if my data privacy rights are breached? The expert contributors examine the jurisprudence of the Court of Justice of the European Union, the case law of the European Court of Human Rights and decisions by national courts. Together, they explore how judiciaries balance privacy and data protection rights against other interests and investigate the influence European courts have on national judges. This book also probes the ways in which courts deal with strategic litigation aimed at law and policy reform and, in doing so, sheds light on the role and ability of courts to safeguard privacy and data protection rights. This topical resource will benefit both academics and students of law, particularly those interested in the protection of fundamental rights and freedoms. Both policy makers and legal professionals alike will benefit from the insight into the judicial decision-making activities concerning data protection.